When cleaning up after the kids (yet again!) 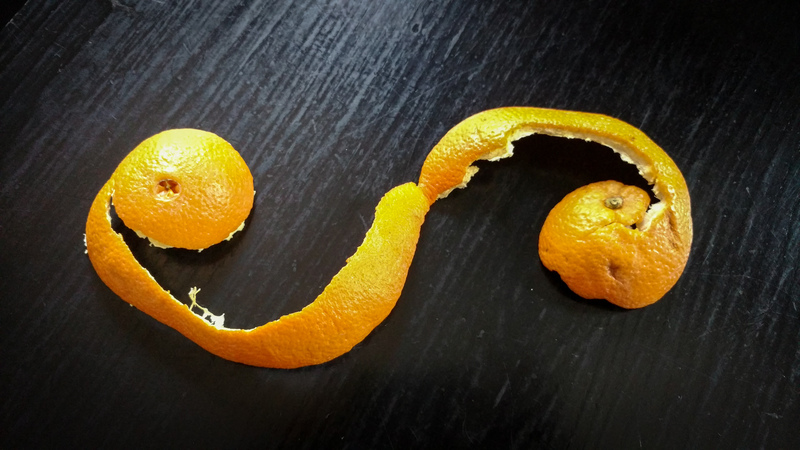 I noticed a familiar pattern in an orange peel one of them had left behind. It appears that our daughter came to the same conclusion about how to unwrap a sphere that my Unwrap and Flatten SketchUp Extension‘s algorithm did, too.